For bands that gig in large or small venues: From the local corner pub to the largest stadiums, the following items are often overlooked, but are affordable options to assist you during a performance. Those drinks on the floor and amps are an accident waiting to happen. This nifty gadget or comparable drink holder probably gets the most comments from casual fans, giving you and your band instant credibility! Enjoy your favorite beverage like a boss and stuff a couple of cocktail napkins on the bottom. This will stop the sweat from the glass/bottle from dripping all over cables and pedals. Most big box guitar shops will have them and they run about $10. Microphone stands get bumped and tip over all the time. One hard fall can snap the clip in half forcing you to tape the microphone to stand as a last resort. Skip that step and have a few extras handy. They run about five bucks at most big box guitar shops. 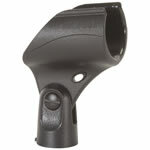 They are an absolute must for outdoor gigs to keep setlists and notes from blowing away. They are also good for mailing list sign-ups. These are fantastic for grouping similar cables together for storage. Keep separate bags for XLR, power, ¼ cables. This way your main cable box isn’t a massive uncoordinated mess. Most of the speaker stands made in the past ten years will supply a support pin along with a knob or something to crank down the stand. For safety reasons, it never hurts to have a few extra pins handy. 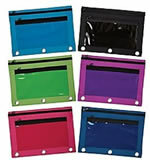 These brightly colored pouches are great for tape, picks, slides, capos and other small essentials. 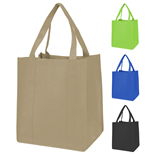 Find them anyplace that sells office or school supplies. They run anywhere from $1 to $3. 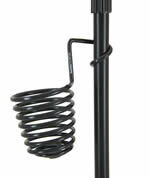 These are handy when you require that one last plug or need to split the end of an extension. They run a few dollars and find them at any hardware store. 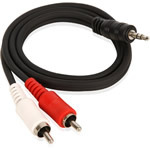 This is a standard cable that runs a portable mp3 player or phone into most mixing boards. Break music is essential when running your own sound. 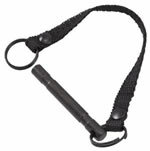 Find them at various lengths at any store carrying home audio or phone accessories. Buy a spare, these have a way of walking away. Plain ol’ scotch tape is a must for hanging posters. Electrical tape helps cable patching and keeps picks in place on a mic stand. 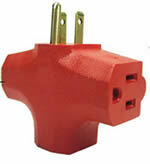 Multi colored electrical is perfect for identifying cables, and other pieces of gear. Electric tape also works as a decent band-aid in a pinch. 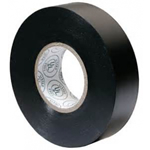 Gaffers tape, vital for actually taping down cables to floors doesn’t make cut due to cost. Duct tape, although affordable leaves a sticky residue to absolutely everything. 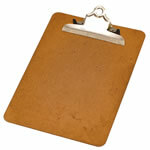 Keep one close by to make notes while on stage or on a break. Someone request a song? It’s someone’s birthday? Make a note on your setlist. Because: You. Will. Forget. What have I missed? I’m all ears! Please do not hesitateshoot me an email at neal@nealrudnik.com. I want to hear about your successes, horror "train-wreck" stories and of course, anything I may have omitted.